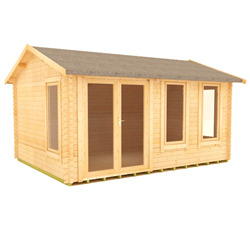 Turn your garden into your workspace with our home offices, available in a variety of shapes and sizes to suit you. 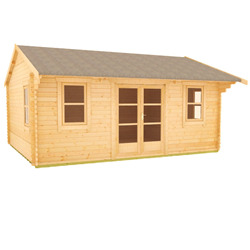 Our range of window and door designs allows you to add a personal touch to your log cabin. 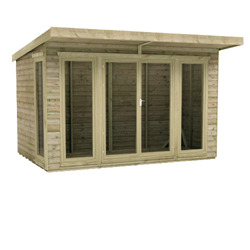 You can also increase security of your garden office with double glazing and toughened glass. 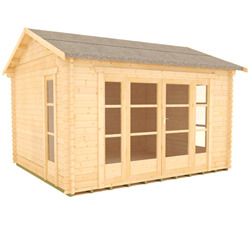 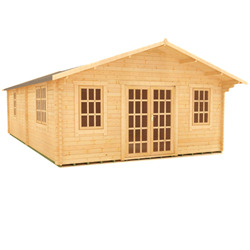 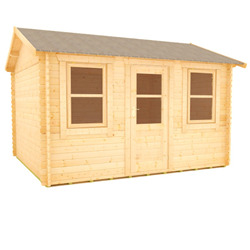 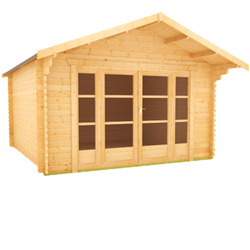 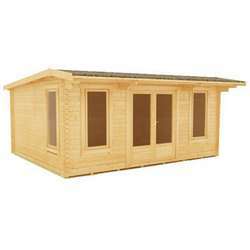 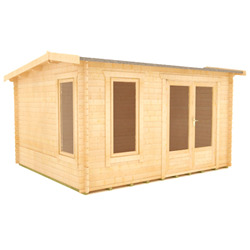 Our log cabins are manufactured from premium grade logs and supported by heavy duty, tongue and groove boards for the roof and floor - perfect for the demands of a garden office. 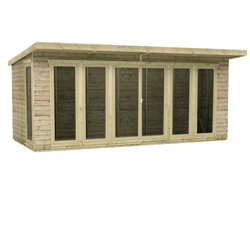 Find out more about our Garden Offices range. 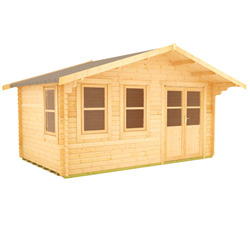 Log cabins make a practical and beautiful space for your home office - perfect for focusing on your tasks and projects. 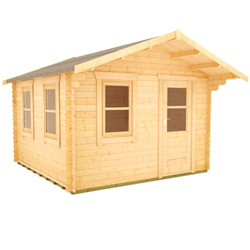 Our garden offices not only provide a functional place to work, but are also an attractive feature in any garden. 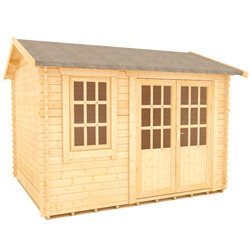 Our selection of practical designs are ideal for small businesses and the self-employed. 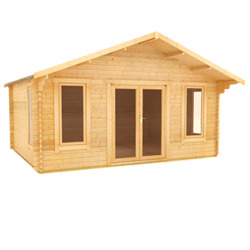 The tight-knit, interlocking log structure of our high quality cabins will keep you warm all-year round. 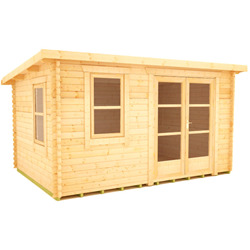 If you’d like your daily commute to be nothing more than a stroll to the bottom of your garden, then get in touch with us today.